CAQ: Birth Of A New Political Party! 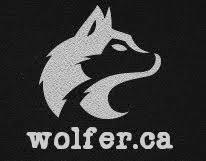 Headlines around the world today are ignoring the formation of Quebec's newest party. The Coalition Avenir Quebec (or CAQ) was just an idea when it became the most popular option in the province. Boring the rest of Canada, CAQ is strangely similar to the ADQ but, at the same time, completely different. A former Parti Quebecois boss, Francois Legault, started it and it remains unclear who he was trying to get back at when he did. Legault, a former separatist, decided to put sovereignty on hold for maybe around 10 years. And, almost as if to counter, the PQ has dropped the mandate to hold a referendum on independence during their first term in power. What this probably means is that Quebec is now the most federalist province in Canada, beating out Ontario and P.E.I. for the title. 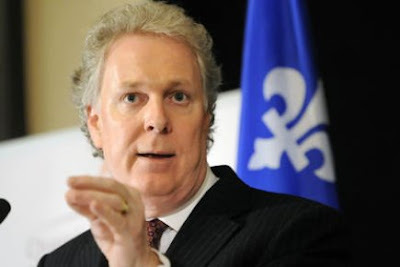 Following the logic of politics in Quebec we can now only assume that Premiere Jean Charest, the most hated man east of Gatineau, will proclaim himself to be a separatist and try to unilaterally succeed while Pauline Marois, the leader of the PQ, fights to remain in Canada. airports after him 30 years from now.